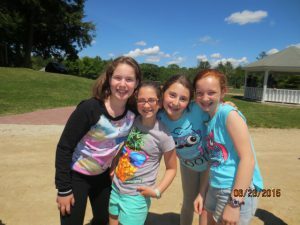 Kfirim is loving Machaneh Yavneh so far! It’s only been a few days since our last update, but a lot has happened with aydat (unit) K’firim! 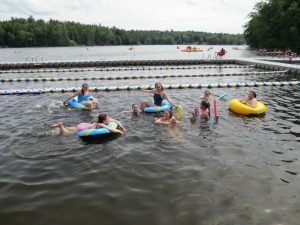 Thursday was a very fun day: we played some sports, we went swimming in the agam (lake), and we learned some new dance routines with Marcelo, our Rosh Rikud (head of dance). Friday was a super awesome day. We got to enjoy great weather, had plenty of time to splash around in the agam, and had some quiet time creating omanut (art) in the art room. Our first Shabbat here was madhimah (amazing)! 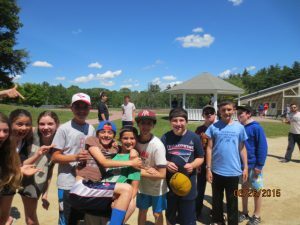 We started off with Relesh (ruach lifnei Shabbat, Spirit before Shabbat), where the whole camp dances and sings together. We then went to Gilboa, the amphitheater, to welcome Shabbat ha’malka (the Shabbat queen) to Yavneh. After some more beautiful songs and t’filot (prayers), we went to the chadar ochel (dining hall) to have a delicious meal, filled with matzah ball soup, challah, chicken, vegetables, and everyone’s favorite, Shabbat cake! After the meal, K’firim joined upper camp in zmirot (songs) in Ben-Tzvi (our indoor performance space) to end Friday with spirituality and a smile before going to bed. Yom Shabbat (Shabbat Day) was very ragu’a (relaxed). 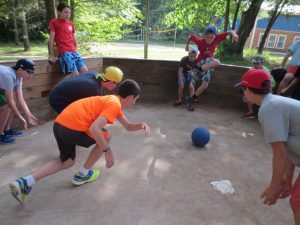 We had some nice peulot (activities) with our tzrif (bunk) and our morim (teachers) and a lot of free time to play with friends and run around to get energized for a new week. On Sunday we celebrated Carolyn’s birthday! It was a lot of fun! We are looking forward for an amazing week, filled with new and memorable experiences!